Get the Funk Out! : 12/4 9:45am pst! 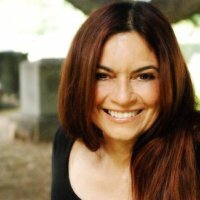 Casting Director/Writer/Director Valerie McCaffrey joined Janeane Bernstein live on KUCI 88.9fm to talk about her powerful film, "Dirty Bomb"
I know that this source will help you with writing bibliography. You can use it in college if you need.